Although Huang is usually know as Chun-pi, this was not his birth name. He referred to himself Chun-pi, his literary name. His original name was Yunzhi, though he seldom used it. Later in his life, he used another literary name, Junweng. Meanwhile, his study had its own special name: the White Cloud Chamber ("baiyuntang"). Huang Chun-pi was a world-renowned Chinese artist. His life spanned the end of the Qing Dynasty and the Republic of China's move to Taiwan. His influence extended beyond China, however, as he spent decades traveling around the world promoting traditional Chinese culture. Huang Chun-Pi was born in Nanhai, Guangdong Province, in 1898. 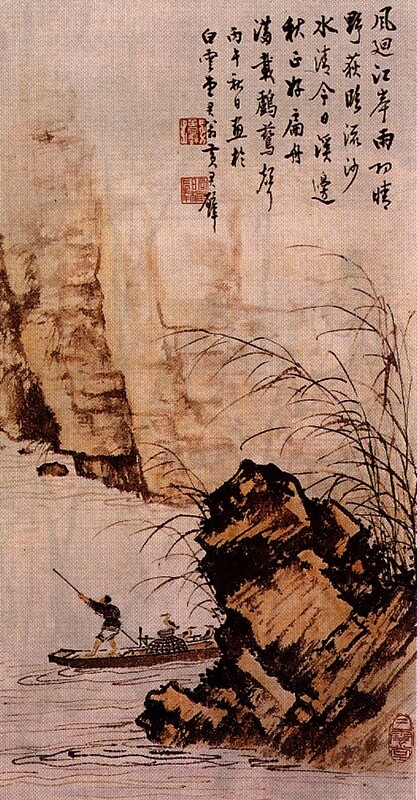 As a boy, his love of art was encouraged by his brother Shao-fan, and he was taught by the famous artist Li Yao-ping. 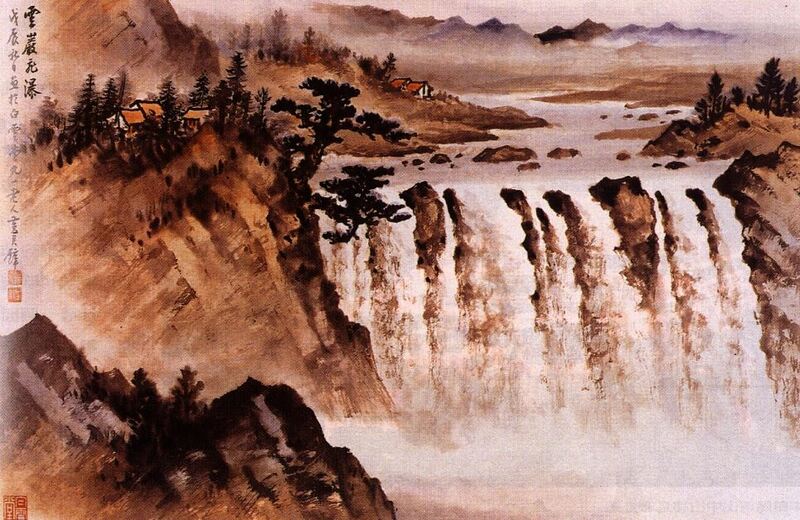 In 1922, he entered the Guangdong Provincial Art Fair and placed first in brush painting. In the same year, he married his first wife and entered the Chu-ting Academy of Art to study Western painting. Huang organised art societies and exhibited his portraits. He practised his art by imitating old masterworks, and became known as a connoisseur and collector of old art. In time, he became a professor at an art school, and was sent by the Nationalist government on an art inspection tour of Japan. In the winter of 1948, following the Republic of China's move to Taiwan, Huang crossed the Taiwan Strait. He and his fellow artists Pu Xinyu and Chang Dai-chien became known as the "Three Masters Crossing the Strait." Huang then became an art inspector at the National Palace Museum. In 1957, he began traveling abroad, visiting the United States, Canada, Brazil, and Europe. He was well received; in fact, he became an honorary citizen of New Orleans and an honorary member of the Brazil Academy of Fine Arts. Huang continued to travel, visiting South Korea, Singapore, and South Africa, and holding exhibitions around the world. He died in 1991, aged 93. Huang's style was deeply influenced by the classical Chinese painting he knew so well. He rejected the Lingnan art style. 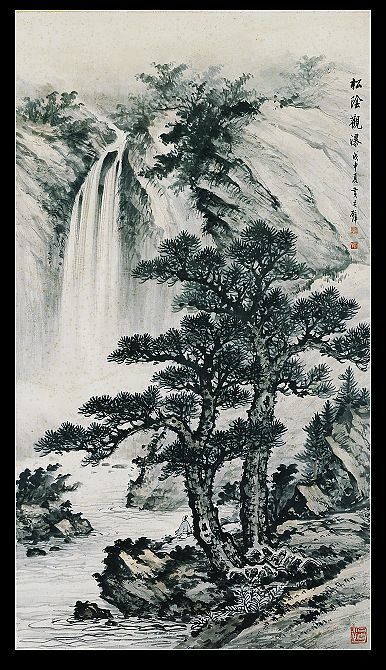 He was extremely skilled at mountain and water paintings, and was particularly noted for his depictions of clouds, water, and waterfalls. His birds and flowers were also noted. However, he wasn't blind to other styles of art. Huang spent decades promoting Chinese culture around the world. He held exhibitions, did sketches, and opened displays. He was also known for his calligraphy. Moreover, he was also a significant art educator and held many prestigious posts. His art was exhibited in many different cultures, and it has been sold at auction for high prices, confirming his status and popularity. Visitors Today:84. All Time Visitors:1,229,891.